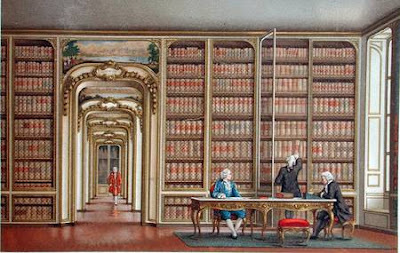 The Vergennes' library in chateau de Versailles, Paris, Bibliotheque des Arts Decoratifs. These will not only enhance your shelves and coffee tables, but will be a rich addition to your personal library. I try to pick recent publications and will update this list as more come out! They cover a variety of fascinating topics regarding 18th century France and England and other areas of interest to this blog. I truly believe there is something for everyone in here, from art and art history, literature, political and general history. I have selected sources that are available from libraries or online, and I have provided links, when available, for the convenience of users. Because some of these books are so new they may not be available through all libraries but they most likely can be obtained through your local library's inter-library loan service. Beckstrand, Lisa. Deviant Women of the French Revolution and the Rise of Feminism. S.l. : Rowman And Littlefield, 2009. This excellent book looks at the two most prolific women writers of the French Revolution, Olympe de Gouges and Manon Roland. Marseille: The Cradle of White Corded Quilting. Berenson, Kathryn. Marseille: The Cradle of White Corded Quilting. Lincoln, NE: International Quilt Study Center & Museum, 2010. Broderie de Marseille needlework was developed in Marseille during the 17th century. The popular all white corded and quilted furnishings included bed covers and quilted bodices and caps and could often be found in the homes of aristocrats. Decorative Games: Ornament, Rhetoric, and Noble Culture in the Work of Gilles-Marie Oppenord (1672-1742). Bédard Jean, and Gilles Oppenord. Decorative Games: Ornament, Rhetoric, and Noble Culture in the Work of Gilles-Marie Oppenord (1672-1742). Newark: University of Delaware Press, 2011. An incredible album of ornament designs by 18th century French architect Gilles Marie Oppenord. Birn, Raymond. Royal Censorship of Books in Eighteenth-Century France. Stanford, California: Stanford University Press, 2012. I highly recommend this book on the culture of censorship in 18th century France. Blom, Philipp. A Wicked Company: The Forgotten Radicalism of the European Enlightenment. New York: Basic Books, 2010. The following group of friends helped change the direction of the age of enlightenment with atheism, passion, reason, and truly humanist thinking. Denis Diderot, Laurence Sterne, David Hume, Adam Smith, Ferdinando Galiani, Horace Walpole, Benjamin Franklin, Guillaume Raynal, and Jean-Jacques Rousseau. Cheney, Paul Burton. Revolutionary Commerce: Globalization and the French Monarchy. Cambridge, Mass. : Harvard University Press, 2010. This book explores the the political economy of globalization in eighteenth century France. Cherbuliez, Juliette. The Place of Exile: Leisure Literature and the Limits of Absolutism. Lewisburg: Bucknell University Press, 2005. Cherbuliez connects the movements of people and books in Louis XIV's France. Chico, Tita. Designing Women: The Dressing Room in Eighteenth-Century English Literature and Culture (Bucknell Studies 18th C L). Lewisburg: Bucknell University Press, 2005. The history of the...dressing room! This book discusses the introduction of a ladies dressing room in English architecture during the 18th century. Darnton, Robert. The Great Cat Massacre: And Other Episodes in French Cultural History . New York: Basic Books, 2009. I suggest this book to all readers, it offers an interesting glimpse into eighteenth-century France during the age of enlightenment. Dixon, Susan. Between the Real and the Ideal: The Accademia Degli Arcadi and Its Garden in Eighteenth-century Rome. Newark: University of Delaware Press, 2006. This title looks at the goals of the Accademia degli Arcadi, an early 18th century academy in Rome that aimed for cultural renewal in Italy. Doll, Dan, and Jessica Munns. Recording and Reordering: Essays on the Seventeenth- and Eighteenth-Century Diary and Journal. Lewisburg: Bucknell University Press, 2006.This book takes a close look at the history of editing and editing of women's diaries and journals. Reminds me of how many of Jane Austen's letters were edited by cutting out portions of sentences. Leaves many mysteries. Drazin, Charles. The Man Who Outshone the Sun King: A Life of Gleaming Opulence and Wretched Reversal in the Reign of Louis XIV. Cambridge, Mass. : Da Capo Press, 2008. The glamorous rise of Nicolas Fouquet and his dramatic decline from the seventeenth century court of the Sun King and popular society. Dunn, Susan. The Deaths of Louis XVI: Regicide and the French Political Imagination. With a foreword by Conor Cruise O'Brien ed. Princeton, NJ: Princeton University Press, 2008. Susan Dunn discusses the effect of Louis XVI's execution on France and history. The beheading of the king held different meanings for different groups in France. What were these meanings and how did they affect the French people. Egerton, Judy, and Alan Bennett. Hogarth's Marriage A-la-Mode. Redesigned ed. London: National Gallery, 2010. An in depth look at Hogarth's famous Marriage a-la-mode, which leaves no stone upturned. Garsault, Francois A. de, Art of the Shoemaker: An Annotated Translation. Williamsburg, Va.: Colonial Williamsburg Foundation, 2009. Although he was one of many shoemakers in Paris during the 18th century, M. de Garsault was the only one who wrote about it, or at least that we know of today. This fascinating account comes straight from a contemporary working in eighteenth century Paris. Hammond, Nicholas. Gossip, Sexuality and Scandal in France (1610-1715). Oxford: Peter Lang, 2011. Fascinating look at the role of gender and sexuality in eighteenth century scandal. Haulman, Kate. The Politics of Fashion in Eighteenth-Century America. Chapel Hill: University of North Carolina Press, 2011. This title discusses how and why fashion was such an important concept in the 18th century. It affected relations between the sexes, social order and of course political authority. Hewitt, Regina. Symbolic Interactions: Social Problems and Literary Interventions in the Works of Baillie, Scott, and Landor. Lewisburg: Bucknell University Press, 2006. A study on symbolism and symbolic interactions in 18th century literature. Kaiser, Thomas E., and Dale K. Kley. From Deficit to Deluge: The Origins of the French Revolution. Stanford, Calif.: Stanford University Press, 2011. Over the past two hundred years historians have taken different approaches to studying the origin of the French Revolution. This book examines these different approaches and their 'critical intersections,' culminating on how the old regime's structural problems caused a fiscal issues to develop into the French Revolution. Enlightened Pleasures: Eighteenth-century France and the New EpicureanismKavanagh, Thomas M. Enlightened Pleasures: Eighteenth-Century France and the New Epicureanism. New Haven: Yale University Press, 2010. This book suggests that pleasure for individuals in necessary for the welfare of their community. Read about the experience of pleasure as portrayed through art and literature became an important part of the cultural agenda in 18th century France. Ladurie, Emmanuel, and Jean Fitou. Saint-Simon and the Court of Louis XIV. Chicago: University of Chicago Press, 2001. A very entertaining and well written account of the royal court of Louis XIV. Lawday, David. The Giant of the French Revolution: Danton, A Life. London: Jonathan Cape, 2009. "Danton grew into a vast hulk of a man with a smashed-up face, a lawyer's brain and a sonorous voice." I love the beginning of hist story, suckled by a cow. Read about the Revolution giant, Georges Danton in this interesting book. Leckey, Colum. Patrons of Enlightenment: The Free Economic Society in Eighteenth-Century Russia. Newark: University of Delaware Press, 2011. This book is about the St. Petersburg Free Economic Society, Imperial Russia's most prestigious non-governmental association, established in the 1760s. Mansfield, Elizabeth, and Francois Vincent. The Perfect Foil: Francois-Andre Vincent and the Revolution in French Painting. Minneapolis [Minn.: University of Minnesota Press, 2012. This title aims to break loose the reputation of revolutionary painter Francois-Andre Vincent from his contemporary Jacques-Louis David. Highly recommended introduction to Vincent. Marchenoir, Julien. Treasures of Vacheron Constantin: A Legacy of Watchmaking since 1755. Paris: Editions Hazan, 2011. This book is an in-depth history of the Vacheron Constantin, the oldest watch manufacturer in the world, begun in 1755. Beginning in the Age of Enlightenment to the present, it highlights the masters of the timepiece creations and the impressive objects they produced. Martin, Morag. Selling Beauty: Cosmetics, Commerce, and French Society, 1750-1830. Baltimore: Johns Hopkins University Press, 2009. The history of the cosmetic industry in France, fascinating stuff! McLeod, Jane. Licensing Loyalty: Printers, Patrons, and the State in Early Modern France . University Park, Pa.: Pennsylvania State University Press, 2011. McLeod examines the rise of print culture in 18th century France, the states policy of licensing printers and the uses of print culture in the political life of provincial France. Mulvihill, James. Notorious Facts: Publicity in Romantic England, 1780-1830 . Newark: University of Delaware Press, 2011. Publicity in England between 1780-1830, who was getting it and what did it do for them? How was publicity created and spread? Excellent collection of 18th century publicity! Ogee, Frederic. "Better In France? ": The Circulation Of Ideas Across The Channel In The Eighteenth Century. Lewisburg: Bucknell University Press, 2005. The theory and practice of cultural exchange between Britain and the continent during 1660-1815. "How are the 'foreign' and the 'other' produced in teh process of cultural transfer?" Perry, Gill, Joseph Roach, and Shearer West. The First Actresses: From Nell Gwyn to Sarah Siddons . Ann Arbor: University of Michigan Press, 2011. By studying the most interesting portraits painted of the first actresses to make a name for themselves on the British stage, this book creates vivid portraits of these famous ladies. History through art history, love it! Pressly, William L. The Artist as Original Genius: Shakespeare's "Fine Frenzy" in Late Eighteenth-Century British Art. Newark: University of Delaware Press, 2007. This book introduces us to the following group of artists who were first to claim themselves as history painters in the 18th century: John Hamilton Mortimer, Henry Fuseli, Alexander and John Runciman, James Barry, James Jefferys, George Romney, John Flaxman, and William Blake. Rand, Richard, and Juliette M. Bianco. Intimate Encounters . Princeton: Princeton University Press, 1997. Revisit this exhibition through more than 75 works of art by 39 artists. 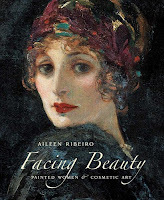 The book contains five short essays that walk you through the history of genre painting, the artists, women of fashion and scholars that influenced it and opposed it, while making connections between various forms of art. Rauser, Amelia. Caricature Unmasked: Irony, Authenticity, and Individualism in Eighteenth-Century English Prints . Newark: The University of Delaware Press, 2008. This books examines specific 18th century prints to determine the meaning of caricature in late eighteenth century England. Rifelj, Carol de Dobay. Coiffures: Hair in Nineteenth-Century French Literature and Culture . Newark: University of Delaware Press, 2010. Hair in 19th century French literature, says it all! focusing on hair as described in novels, but touches on theater and poetry. Roth, Linda Horvitz, and Clare Corbeiller. French Eighteenth-Century Porcelain at the Wadsworth Atheneum: J. Pierpont Morgan Collection . Hartford, Conn.: Wadsworth Atheneum, 2000. This comprehensive catalog presents with detail the amazing collection of French 18th century porcelain at the Wadsworth Atheneum. With 90 color plates, and in depth research on the objects and a glossary of terms and techniques. Sheriff, Mary D., and Antoine Watteau. Antoine Watteau: Perspectives on the Artist and the Culture of His Time . Newark: University of Delaware, 2006. A collection of short essays that present Watteau through his life, work and reputation as perceived by students, specialists, and the public. Somerset, Anne. The Affair of the Poisons : Murder, Infanticide, and Satanism at the Court of Louis XIV . New York: St. Martin's Press, 2004. This book is an excellent read on an historical topic of wide interest, particularly at the time of the case when everyone was haunted by paranoia. Following the Brinvilliers trial at the court of the sun king, the affair of the poisons still shocks readers today. Winkler, Gail Caskey. Capricious Fancy: Draping and Curtaining the Historic Interior, 1800-1930 . Philadelphia: University of Pennsylvania Press, 2012. If the title didn't hook you this will "The materials that decorate our homes and protect us from cold, light, and prying eyes reveal as well as conceal." Enjoy this one! Yonan, Michael Elia. Empress Maria Theresa and the Politics of Habsburg Imperial Art . University Park, Pa.: Pennsylvania State University Press, 2011. 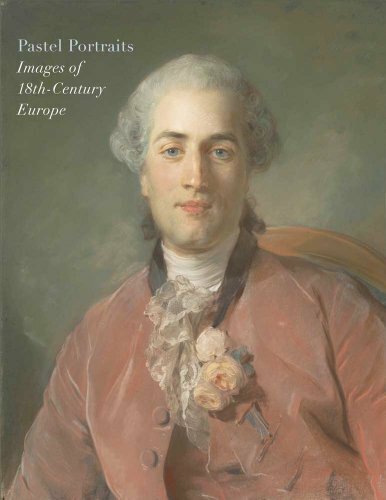 This book covers Maria Theresa, Vienna and the relation of art and politics in the 18th century. Baetjer, Katharine, Marjorie Shelley, and N.Y. York. Pastel Portraits: Images of 18th-Century Europe (Metropolitan Museum of Art) . New York: Metropolitan Museum of Art, 2011. Coke, David, and Alan Borg. 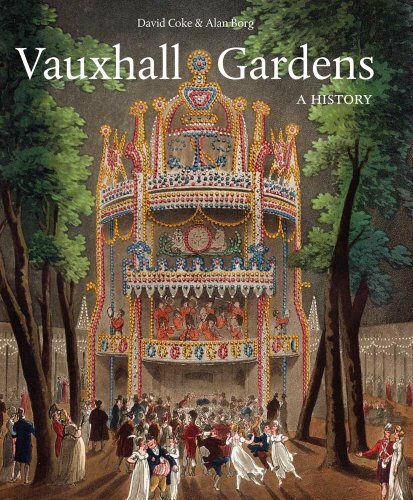 Vauxhall Gardens: A History. New Haven: Published for The Paul Mellon Centre for Studies in British Art by Yale University Press, 2011. Darnton, Robert. The Literary Underground of the Old Regime . Cambridge, Mass. : Harvard University Press, 1982. Nazar, Hina. 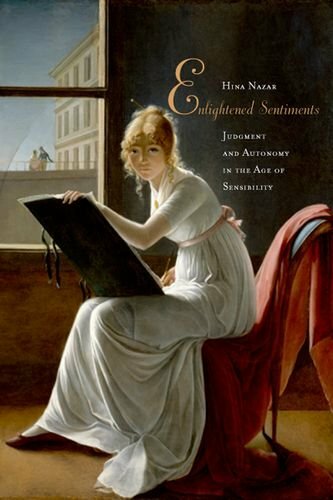 Enlightened Sentiments: Judgment and Autonomy in the Age of Sensibility . New York: Fordham University Press, 2012. Lewandowski, Elizabeth J.. The Complete Costume Dictionary . Lanham, Md. : Scarecrow Press, 2011. Rearick, Charles. 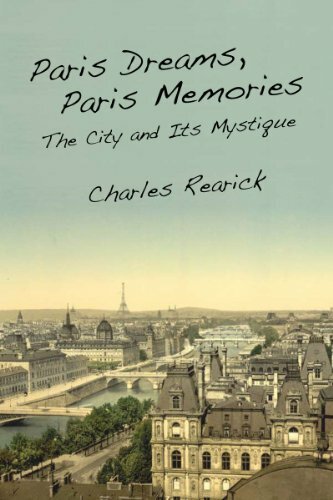 Paris Dreams, Paris Memories: The City and Its Mystique . Stanford, Calif.: Stanford University Press, 2011. Ribeiro, Aileen. Facing Beauty: Painted Women and Cosmetic Art . New Haven, Conn.: Yale University Press, 2011. Shaw, Matthew John. Time and the French Revolution: The Republican Calendar, 1789-Year XIV. 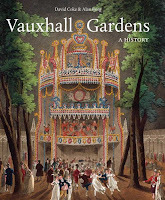 Woodbridge, UK: Royal Historical Society/Boydell Press, 2011. Monter, E. William. The Rise of Female Kings in Europe, 1300-1800 . New Haven: Yale University Press, 2012.